Whether we realize it or not, we are always telling stories. On a first date or job interview, in a sales presentation or therapy appointment, with family or friends, we are constantly narrating events and interpreting emotions and actions. In so doing, we make choices about what to emphasize and what to leave out. We frame and explain in order to amuse, rationalize, or just plain vent. The author, acclaimed for his storytelling on stages, the radio, and in novels including Memoirs of an Imaginary Friend, is also an award-winning teacher. 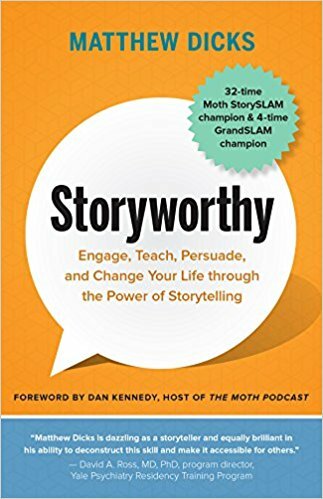 His wonderfully straightforward and engaging tips and techniques for constructing, telling, and polishing any story show that anyone can learn to be an appealing storyteller; that everyone has something story worthy to express; and, perhaps most importantly, that the act of creating and telling a tale is a powerful way of understanding and enhancing one’s own life.